The city of Soledad, a community of 26,000 people, was challenged to meet new stringent wastewater treatment goals, as well as expand its capacity in a short period of time. In August 2004, it was evident that the city’s treatment ponds might overflow. Additionally, the 2005 waste discharge requirement (WDR) issued requires the city to meet effluent limits of 10 mg/L BOD, 10 mg/L TSS, 5 mg/L ammonia and 5 mg/L nitrate by January 2010. The 5.5-mgd upgrade and expansion project was designed to take the city from the existing pond system to a conventional system, increase capacity of the plant for future growth and meet WDR permit discharge requirements by January 2010. The facilities include pretreatment, secondary treatment, tertiary treatment and solids handling. Owner: City of Soledad, Calif. Contractor: Shimmick Construction Co., Inc. Awards for work on the Upgrade. 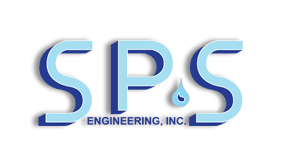 Partner with SPS Engineering for your upcomming project Success.